As avid foodies and generally appreciating our own culinary efforts as much or better than eating out, we grow a variety of delicious herbs to be used in our kitchen and featured in our members' CSA baskets. 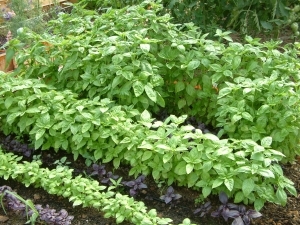 Approximately 10% of the growing space in the hightunnel is used for herbs. 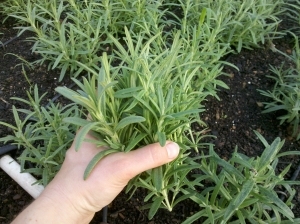 We also dry and store our fresh herbs for winter use. A sweeter pesto type with high yields. Large plant with medium-dark green leaves up to 4" long. 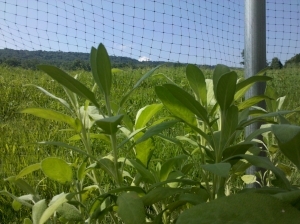 Compared to Genovese, the scent and taste are sweeter and less clove-like. 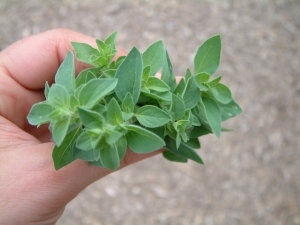 Heavy oregano aroma; great for pizza and Italian cooking. Dry it and store it in an airtight container for fall soups. Characteristic dark green leaves with white flowers. Medicinal: In tea for indigestion. Wide variety of culinary uses, fresh and pungent. Try it with roasted meats, marsala and similar sauces, and soups. 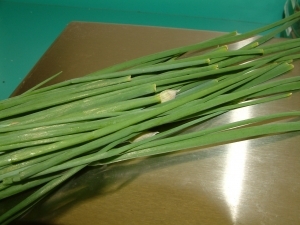 A thicker leafed chive, excellent for storing, freezing, drying and our favorite: fresh use. Classic Mexican herb. This particular variety has tender leaves and is slower to bolt than other varieties, which makes it a First Muse favorite. Member's love this novelty herb! 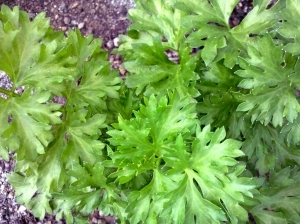 Looks like a cross between Celery leaves and Parsley. 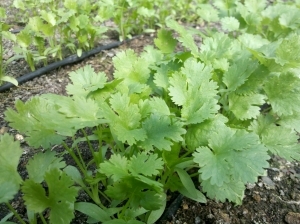 Sweet and pungent celery flavor. 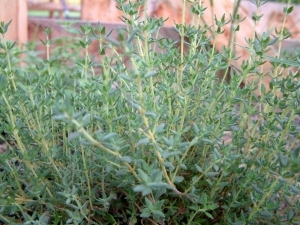 Use as an herb, in a salad mix, or to flavor soups and sauces. Fresh and delicious! Hands down, TFM's favorite culinary herb. Fresh, piney and an excellent addition to grilled summer foods and many fall and winter dishes as well. Dry it and store it in an airtight container for later use. A superb and pungent culinary thyme.